HyperText Markup Language (HTML) is the main markup language for displaying web pages and other information that can be displayed in a web browser. 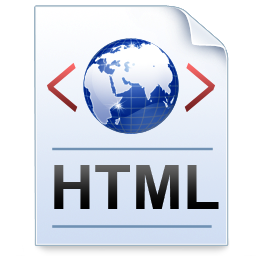 HTML is written in the form of HTML elements consisting of tags enclosed in angle brackets (like <html>), within the web page content. HTML tags most commonly come in pairs like <h1> and </h1>, although some tags, known as empty elements, are unpaired, for example <img>. The first tag in a pair is the start tag, the second tag is the end tag (they are also called opening tags and closing tags). In between these tags web designers can add text, tags, comments and other types of text-based content.